Get a little help putting tight shoes on with our shoehorns. We offer a range of stylish and functional shoehorns that will add a touch of personal style to everyday moments of your day. 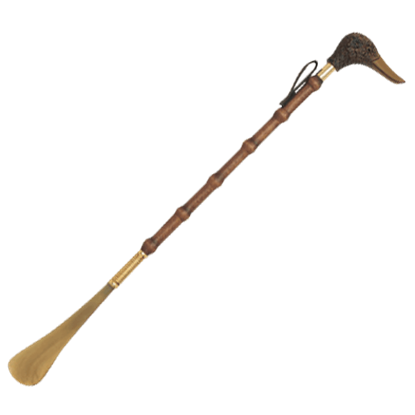 We carry fine hardwood shaft shoehorns and shoehorns with heads carved to look like dogs, rabbits, and ducks. Handsome and sturdy, our shoehorns are not only for function, but they add inimitable elegance and a sense of smartness to the event of getting dressed each day. With wide tongues that help you slip your ankle into tight-fitting shoes with ease, these sturdy hardwood shoehorns are great collectibles, display pieces, gifts, and, most of all, utterly helpful when it comes to easily wearing your favorite shoes. A whimsical and fun shoehorn might just be what you need to add some cheer and life to your morning monotony! 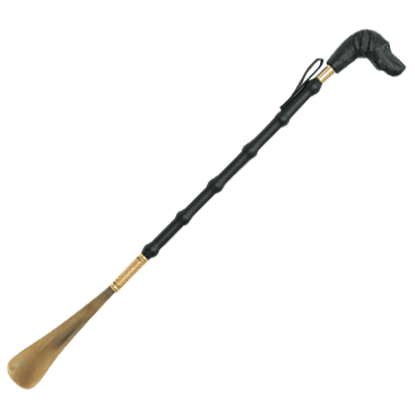 This Black Lab Wooden Shoehorn is fully functional and handsome, making it a nice tool to leave sitting around, too. A whimsical and fun shoehorn might just be what you need to add some cheer and life to your morning monotony! This Briar Rabbit Wooden Shoehorn is fully functional and handsome, making it a nice tool to leave sitting around, too. A whimsical and fun shoehorn might just be what you need to add some cheer and life to your morning monotony! 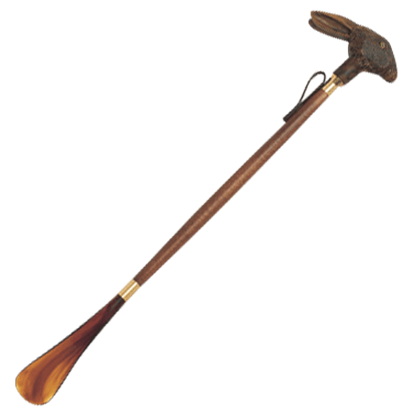 This Duckie Head Wooden Shoehorn is fully functional and handsome, making it a nice tool to leave sitting around, too.